Your toddler is at an age when he is figuring out self-awareness, independence and yet, lacks the ability to exert self-control. 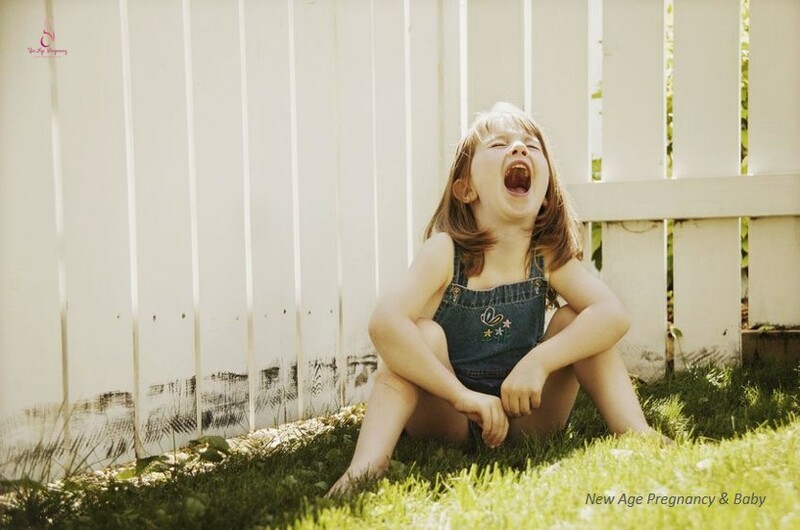 This may sometimes lead to impulsive behavior and tantrums. Parents react by meting out punishment but often this does not work because punishment does not help toddlers to learn why the action is wrong. Let’s take a closer look at punishment and how consequences can work better! Generally, parents punish because they do not want the child to repeat a certain action or behavior – the question is, does punishment really achieve that? Unfortunately, punishment has been demonstrated that it does not change the inclination of the child to engage in the behavior, but only to avoid the source of punishment. Children may still engage in the wrong behavior when their parents are not looking. The other main criticism of punishment is that it does not help the child to internalize the moral lesson, especially when no explanation is given for why a certain action is undesirable. Anger can also be disguised as punishment, for the good of the child when it is used as an outlet for the parents to release their anger. The negative behavior stopped when punishment is meted (which make it seemed to work) but it does not help to explain why it is wrong, nor hold the child accountable for his actions (in fact, punishment shifts the responsibility to hold the child accountable to the parent). Punishment may also foster dishonesty, allow the child to think that it is acceptable to use physical means to resolve problems, and affect the relationship between parent and child. However, as a parent, it takes calm and composure to choose a method other than punishment. Here are 3 strategies for you to stay composed! While there are many tips on how to be a calm parent like preparing for the day ahead, release stress and take me-time, the toddler’s misbehavior has to be tackled promptly. Toddlers do not have long memory, and any discipline that you want to take has to be before your toddler moves on to another activity. With such a small window of time for the parent to act, it is important to pause for a moment to breathe so that your disciplinary measure will not be out of anger. Be Honest. You know your toddler best – did he do the wrong thing because he was hungry, tired, did not understand or follow another child who was doing the wrong thing? Did the behavior warrant you to take action or would you not have taken action if there was no onlooker? It helps to think in terms of what can be changed, and how best for your child to do it. It takes the anger out of the situation and turn it into an opportunity for growth. Without anger and punishment, what can a calm parent do to guide the child? Here are 5 better methods that work! There are consequences to actions, and some natural consequences already serve as a way for your toddler to learn the lesson. For instance, if he wrecks a toy because he has been hitting it against the floor, he has to live with the natural consequence of not having the toy. Do not replace or get a new toy when that happens! For consequences that you have set for your toddler, make sure that they are related to the misbehavior. Take for instance, your toddler had thrown his ball into the kitchen which had been previously communicated to him that kitchen is a no-play zone. Instead of giving him timeout (which is not related to hitting), you may want to take his ball away. That way, your toddler can remember the lesson better and link the consequence to the action. Toddlers need clear limits that are set in simple language. It is important to stick to the limits and calmly enforce them. Limits in a way are standards to adhere and the limits that you set have to be age-appropriate. Moreover, toddlers do not have long attention span and thus, it is best to keep limits to no more than a few words and repeat them often! Sometimes toddlers do not understand why a certain action is wrong; for instance, if your toddler hits another child, you can explain to him by asking him if he would feel pain when he is hit. How would he feel? Would he feel happy or hurt? It is easier for children to internalize the moral reason when it is explained clearly to them. It helps to get to the root cause of why your toddler misbehave; for instance, if he always cries and refuses to go to bed at time, it may be due to the room being too dark and a simple preventive measure like a night light can solve the problem. If he always throws a tantrum on the way home from childcare, it may because it is the time that he is interrupted from his nap and thus cranky. Perhaps a re-scheduling of his nap or pick-up time, or letting him continue his nap in the car will prevent the tantrums! As children grow older, they have to start to accept responsibility for their actions. It is not easy to teach children to accept responsibility as choosing to blame someone else or assuming a “helpless mentality” is easier. Here are 5 tips to help your child! It may seem contradictory as your child has just acted out; however, the definition of acting out is “to behave badly or in a socially unacceptable often in a self-defeating manner especially as a means of venting painful emotions (such as fear or frustration)”. Understand what is the emotion or root cause that is driving the misbehavior, and work out with your child how he does not need to be trapped by these fears or frustrations. If your child’s action is not desirable and has to be corrected, ask him how it can be corrected. For instance, if he refuses to pick up toys on the floor, ask him if he wants the toy to be donated or he wants to keep the toys back into the box. It is important for parents not to label the child but instead to reinforce that it is the action that is not desirable. That way, your child will not feel that “he can’t” do something or change, since the action is not linked to his personality. Encourage positive behavior by giving your child the attention and praise. Limit using material goods or food as rewards, but instead, a simple progress chart can make his improvement visible (and it doesn’t always have to come with a toy at the end!). You can make an effort to say to your child what actions you are taking that are a way of accepting responsibility. For instance, when you see an elderly who does not have a seat on the train, you can stand up and give up your seat. You then teach your child that when he has a seat, he has a responsibility to be aware of who may need the seat more than him. Positive parenting, without using physical punishment, requires thought, patience and a loving relationship with your child. A strong parent-child relationship will help your child beyond childhood, and forms the foundation that he can lean on in his teen and young adult years. How To Effectively Discipline Your Toddler Without Yelling? Are There Discipline Measures That Work For All Kids? When Should You Start Teaching Your Child Good Manners?